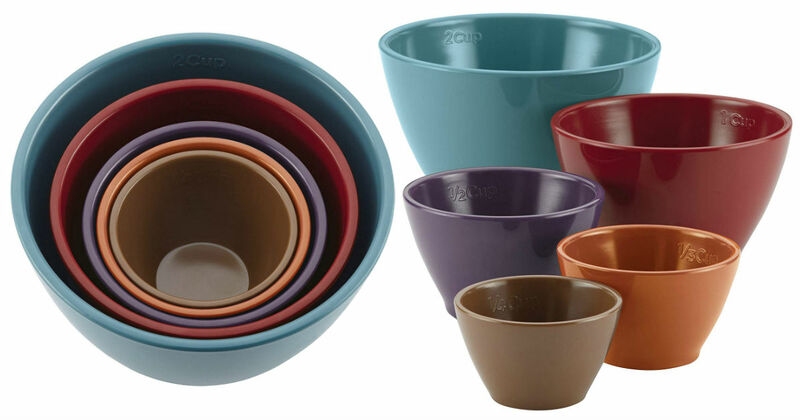 Score these Rachel Ray Cucina Melamine Nesting Measuring Cups for only $10.49 on Amazon! Set includes five no-fuss nesting measuring cups in standard sizes for cooking, baking, prepping. Constructed from sturdy BPA-free melamine; cup capacity marked on inside rim.